neo4j.com is the new website for Neo4j users, a single source for everything you need to know about working with Neo4j. Over the years, the Neo4j community has flourished, accumulating incredible collective knowledge about what is possible and how to get things done with a graph database. Sometimes, that meant hopping around to different areas of the interwebs. 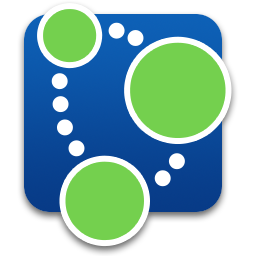 With neo4j.com, we’re collecting everything you need to know in one place. We’re pulling in written content from many sources, including neo4j.org, neotechnology.com, docs.neo4j.org and blog.neo4j.org. For visual learners, we’ll decorate the site with videos and slide presentations. Mix in some code examples and you’ll have a comprehensive resource for building graph applications. We’re starting at the beginning, answering the early questions anyone would ask about any new technology: what is this stuff, who is using it, and what are they doing with it? Our cleverly named use-cases section will evolve into a showcase of ideas and real-world implementations. You’ll get a general understanding of scenarios like making recommendations or network management, then learn from the experience of Neo4j users like eBay or Pitney Bowes. To get you started on your own projects, query examples will show you how to approach the underlying technical details. Each week, we’ll continue to add content covering topics like: data modeling, language-specific drivers & frameworks, testing, and capacity planning. Our exceptional Neo4j Manual already covers much of this material along with comprehensive reference information for each released version of Neo4j — and it remains the authoritative source of truth. The Neo4j Manual will be tightly integrated into all the content of this website, extended with web-friendly interactives, videos, and supplemental articles. We remain committed to open source, for transparency, collaboration, and fair use. The .com-ness of this site doesn’t change that. Honestly, it’s just easier to manage a complete website revision with a new domain. Ultimately the direction of neo4j.com will be driven by what you find to be the most useful complement to using Neo4j. Our goal is to make this a companion website, an integral part of your experience using Neo4j. What would you wish for? Moar codez? Help going into production? A custom graph t-shirt shop? Let us know in the comments below, or on our google group!